Although internal phone storage has increased throughout the years, the abundance of apps makes every MB matter. 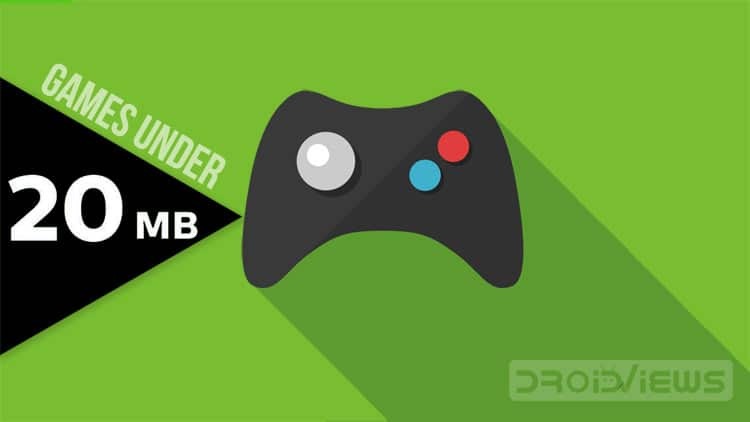 Today, we present you 10 best Android Games under 20 MB. The size of the best free lightweight games listed below is not exactly 20 MB but they range from 5 MB to 20 MB. These Android games under 20 MB are not only engaging and offer great gameplay but they also occupy less space. In this way, you will be able to kill time and preserve that precious storage of yours both. Keep in mind that the size we write about is the initial installation size. 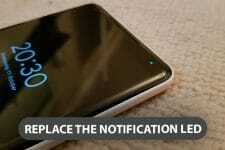 Playing the games will actually increase the size they occupy on your device storage. 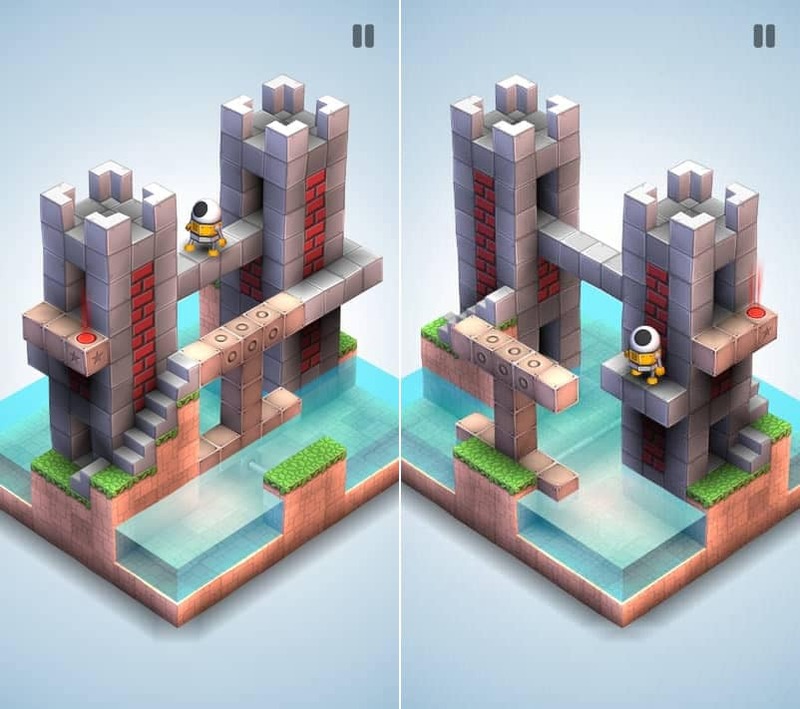 A beautifully designed puzzle game, Mekorama offers hours of entertainment with only an installation size of 5.3MB. An astronaut is stranded on a small island-like place and your goal is to help him escape. The controls are pretty simple since you only have to tap in order to tell the astronaut were to go and you can also help him by dragging things to create new paths. With 52 levels to complete, Mekorama is guaranteed to offer you both a challenge and the entertainment you need. You should also note the mesmerizing music of the game which adds significantly to the experience. 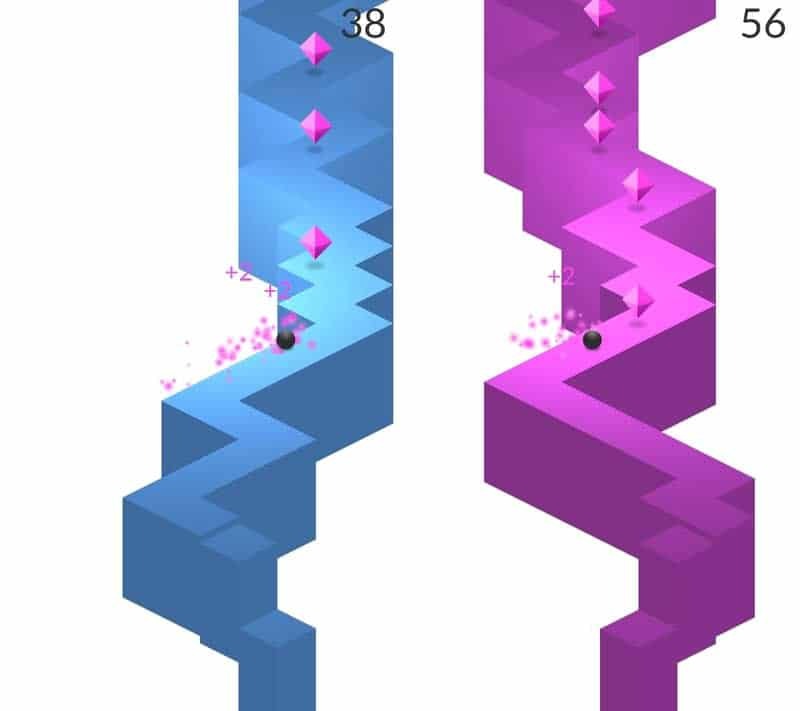 ZigZag is another game with simple, yet beautiful 3D graphics. In this game, you assume the role of a ball and your goal is to roll as far as you can without falling off the edge of the infinitely generated landscape. 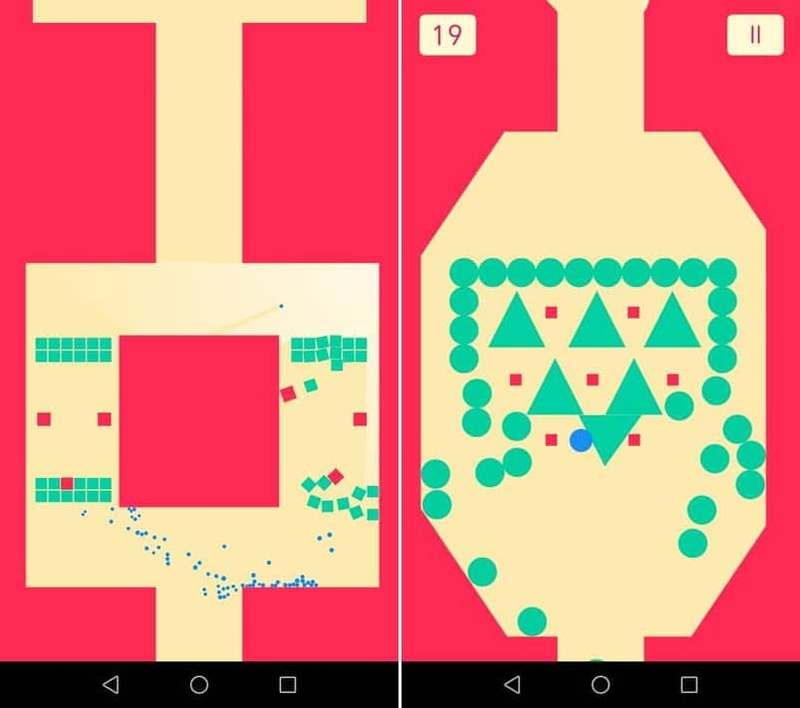 Of course, as you progress and increase your score, the game’s becomes more challenging, increasing the ball’s speed and narrowing down the paths that you have to move over. To help your ball navigate, you simply tap on the screen and that is enough for the ball to take 90-degree turn zigzagging around the map. 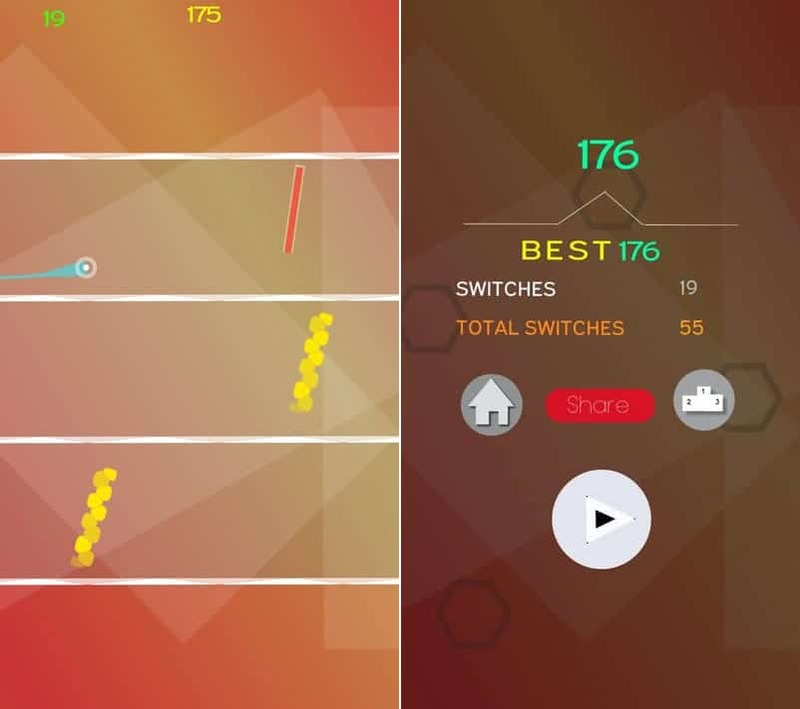 If you are obsessed with high-score oriented games then download ZigZag and try it out. The Line Zen is developed by the same company that is responsible for ZigZag and as a result you can expect a similar experience. This time the design is material-like, meaning that it is also a 2D game. Once more, you have to control a ball and accomplish the highest score possible. The controls here differ, compared to the ones in ZigZag. 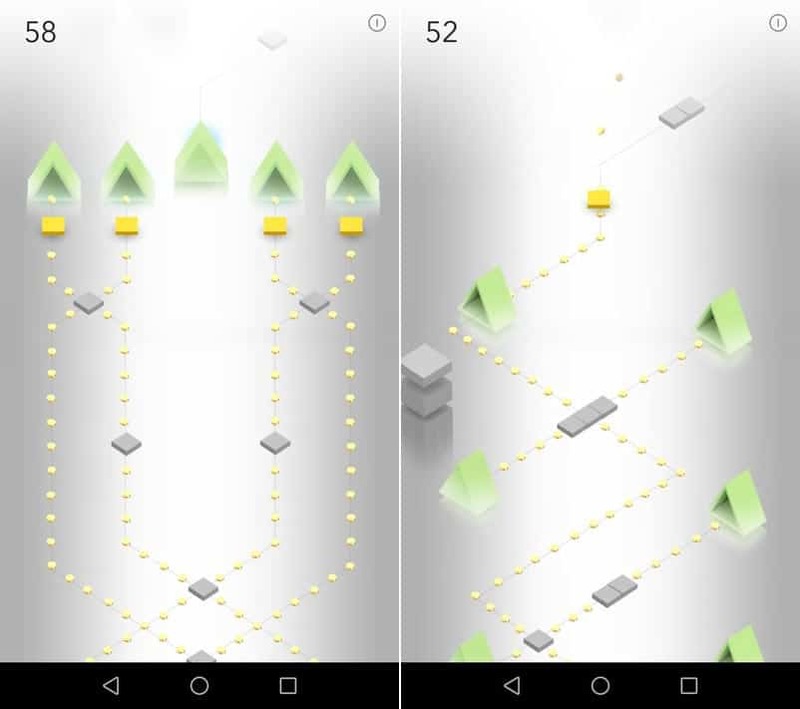 In order to navigate through the narrow paths you now have to drag your finger on the screen and the ball follows your movement. As you move on, once more, your speed increases, the paths narrow down and you come across more difficult obstacles. With such a small installation size, this game is worth checking. 2 Cars is probably the most challenging game on the list. 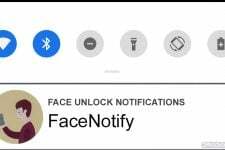 Your screen is divided in two and in each half, you have a car which you control. 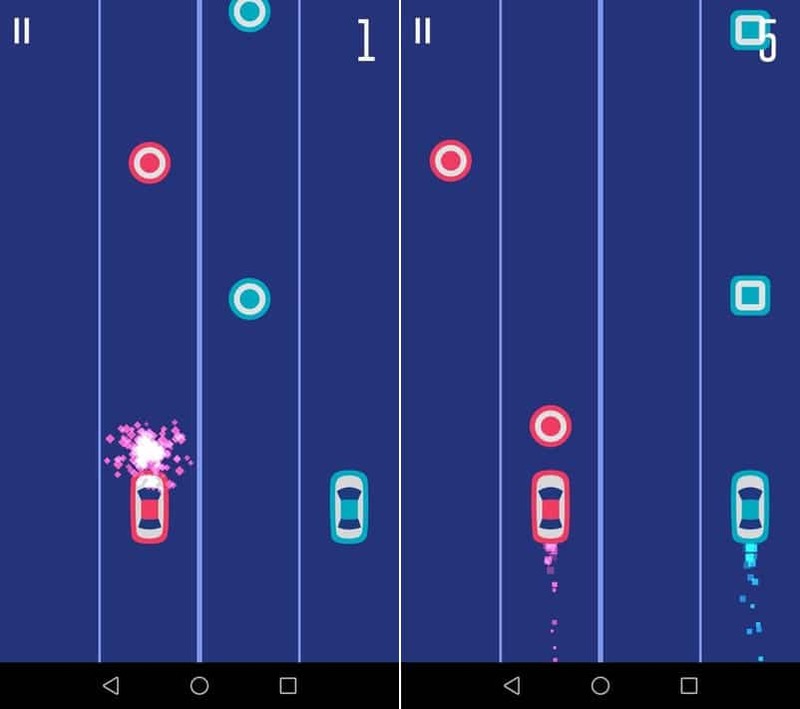 Tapping on the left of your screen makes the red car (which is there) to change lanes while tapping on the right of the screen makes the blue one change. Blue Edge is yet another game where you control a ball. It seems that most of the games that have a small size, follow some type of pattern. However, this game is just as beautiful as the rest on this list. The app features an arcade and story mode. In the former, you roam in an infinitely generated map while in the latter you progress through different levels. The controls are simple. 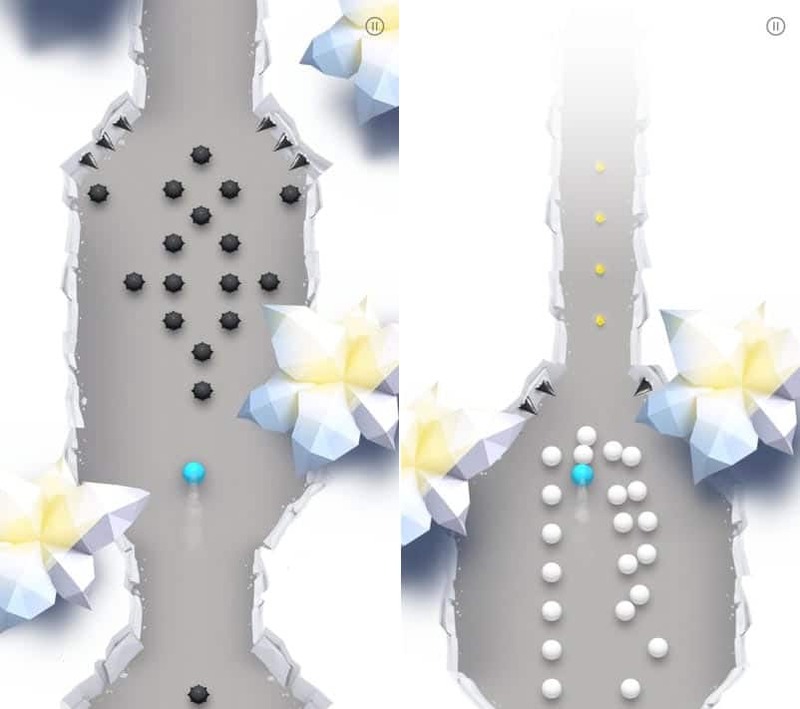 You tap and hold on the right of your screen if you want the ball to move there and you do the same on the left of the screen if you wish to move in that direction. The levels become more and more complicated as you progress, making the game a bit more fast-paced than it initially is. 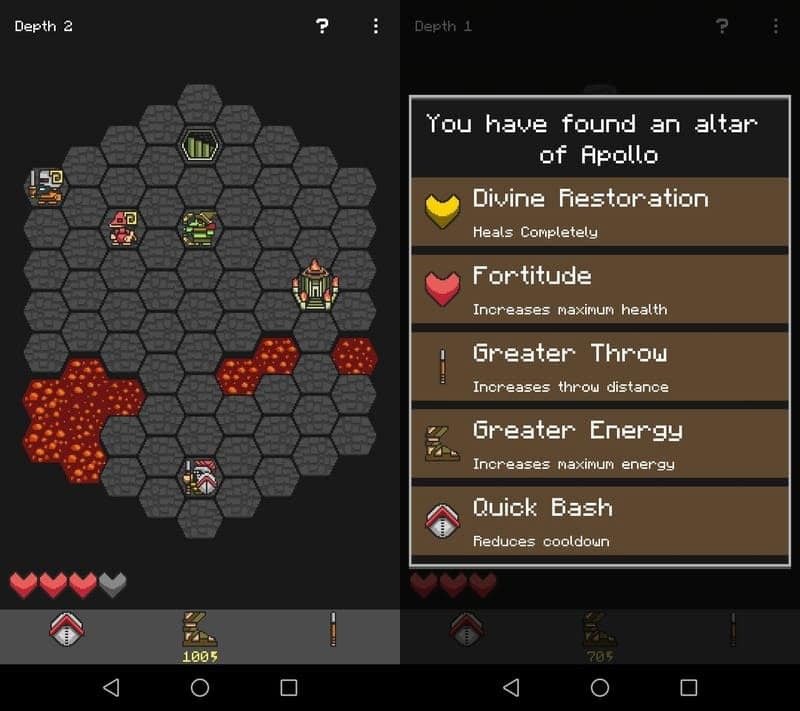 Hoplite is different type of game (I promise). This is an app for all of you strategy players out there. In this game, you play as an ancient Greek Hoplite, descending to the depths of the underworld. Each level is divided into hexagons. You can walk to another hexagon or perform a leap on one. Be careful though, some of those hexagons are occupied by enemies. They can also move and perform either melee or ranged attacks. Combine all of your powers (leaping, throwing a spear and bashing) in order to descend to the deepest level of the underworld. Throughout the way, you’ll also find altars you can pray to. Use them to replenish your health, increase your maximum health and acquire certain power-ups. May the force be with you on this one. 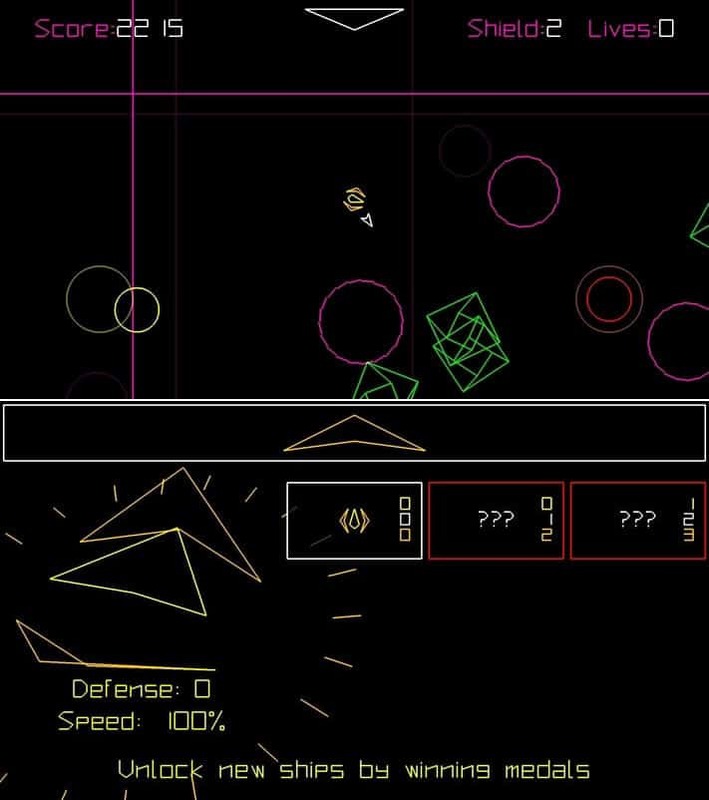 PewPew is a lightweight retro-style game. Your goal is to point, shoot and defeat as many enemies as you can. You control your spaceship with the left joystick while shooting with the right one. If you want a bit of nostalgia for your gaming experience then feel free to download PewPew. Yep, we returned to balls with Switch The Ball. But I promise it’s gonna be the last time. In this game, you try for once more to avoid obstacles while collecting some items and pursuing a high score. The controls are simple. Swiping up or down make your ball move from one lane to another among the three ones that are available. If you progress enough and collect some items you may also trigger a power-up, that instantly increases your score by pushing you a few meters forward. In case you want to break another high score, then feel free to download Switch the Ball. In this game, you once more have to progress as far as you can without losing. The design and music on this one are beautiful making your experience as good as possible. In this application, you control a flipping square. Taping once makes it leap above a single obstacle while tapping twice makes the square do a double jump. Once more, the further you reach the harder the game becomes, sometimes splitting your square into four different ones for you to control simultaneously. Last but not least, we have an enjoyable shooter game. In Zombie Dash, you take control of a guy (or girl) with a shotgun. 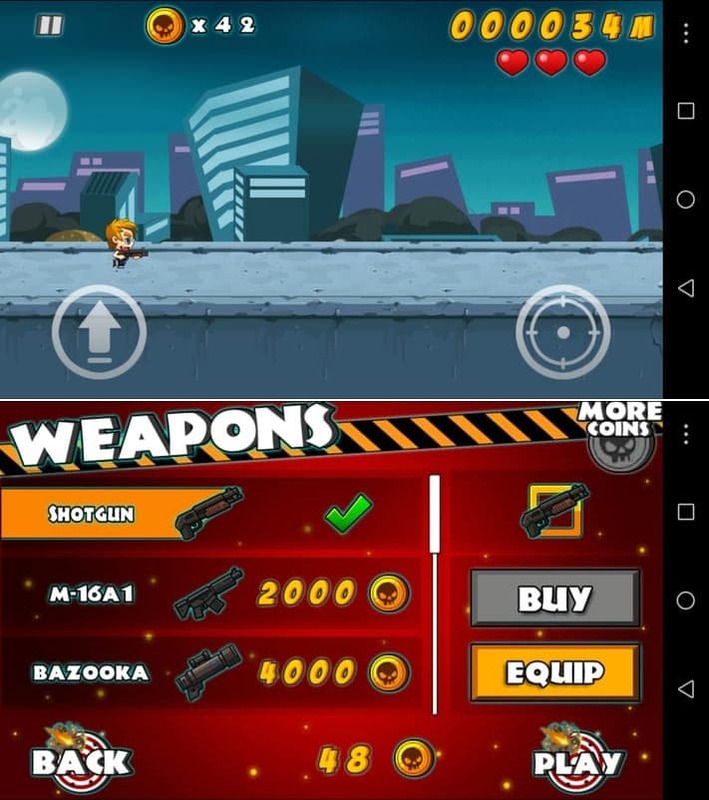 With the right button on the screen, you shoot, while by tapping the left one you jump. The higher your score (the distance you travel without dying) the higher your rewards. You can then use these coins to better equip yourself, thus further improving your high score. Zombie dash really is an enjoyable shooter game.